Trash the dress can be a very funny opportunity even for the couple as for the photographer. The bride and the groom are usually relaxed and well disposed in front of the camera as they don’t feel the ceremony stress anymore. 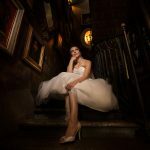 Not everybody feels comfortable doing this kind of shots but who does enjoy it very much as it is the real opportunity to freely use the wedding dress again! 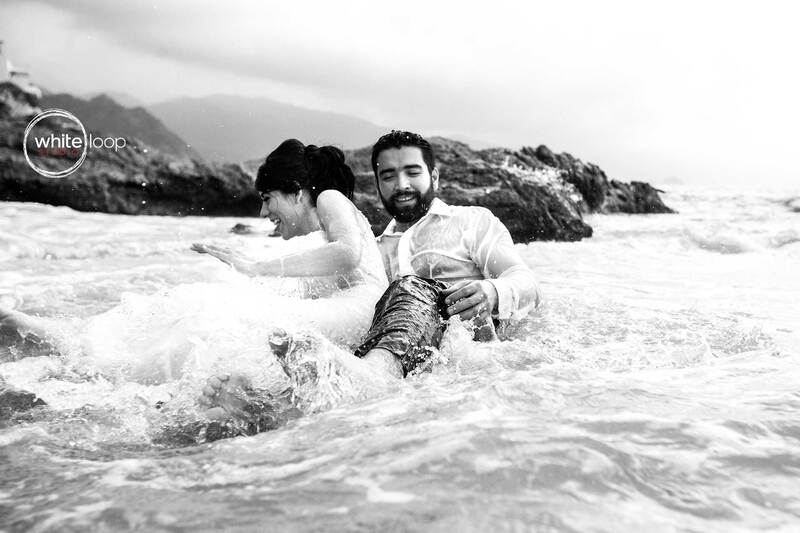 The groom and the bride embrace on top of a rock on the seashore, getting wet. 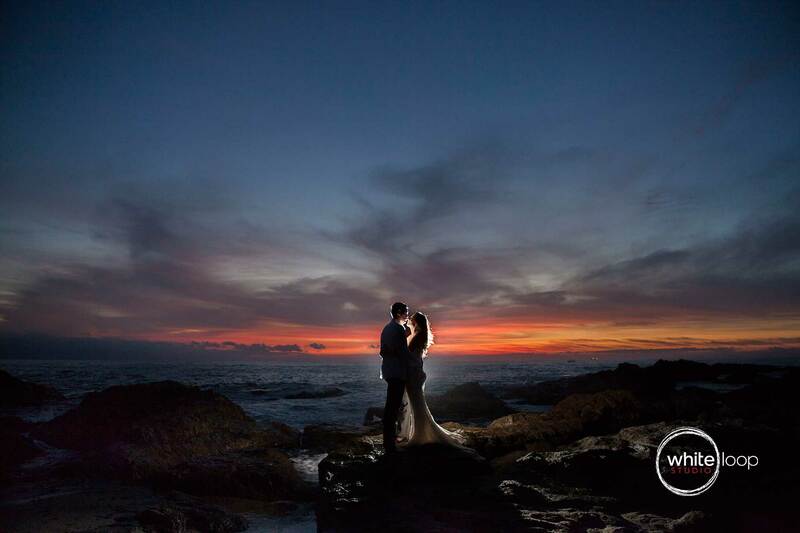 The bride and groom in the middle of the rocky seashore, in a sunset, illuminated with a lamp. 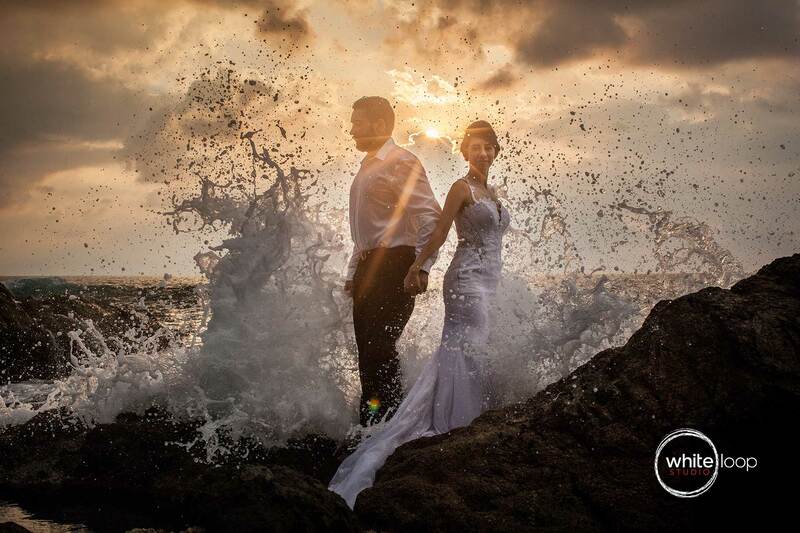 The bride and groom holding hands at the tip of a rock while an ocean wave knocks and splashes. The bride and groom sitting on the seashore, while enjoying a good time together. The bride and groom having a good time on the stairs, after the party. 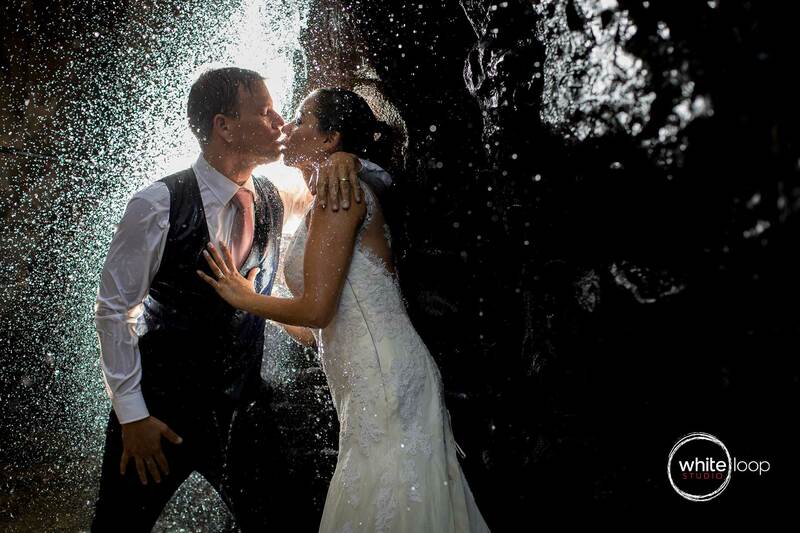 The bride and groom kissing under the waterfall. Illuminated by a light simulated. 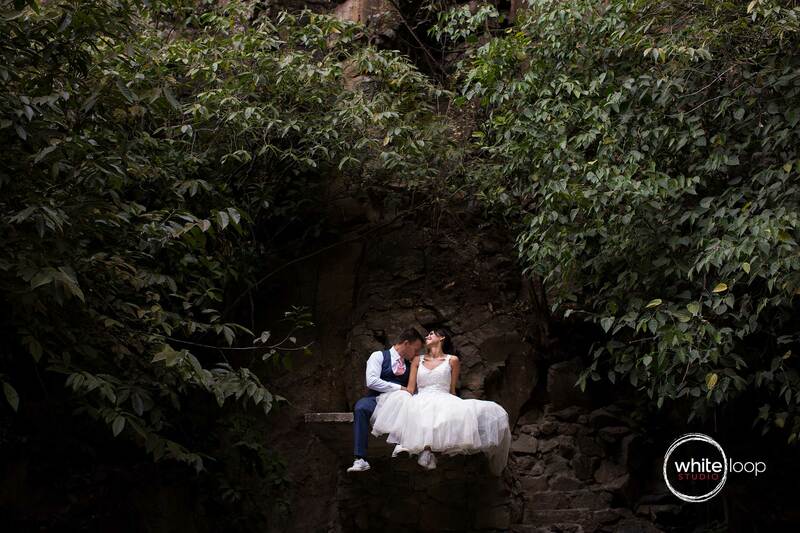 The body of the bride plunged into a river, looking directly into the camera. The bride and groom lying on the sand of the beach enjoying the their moment. 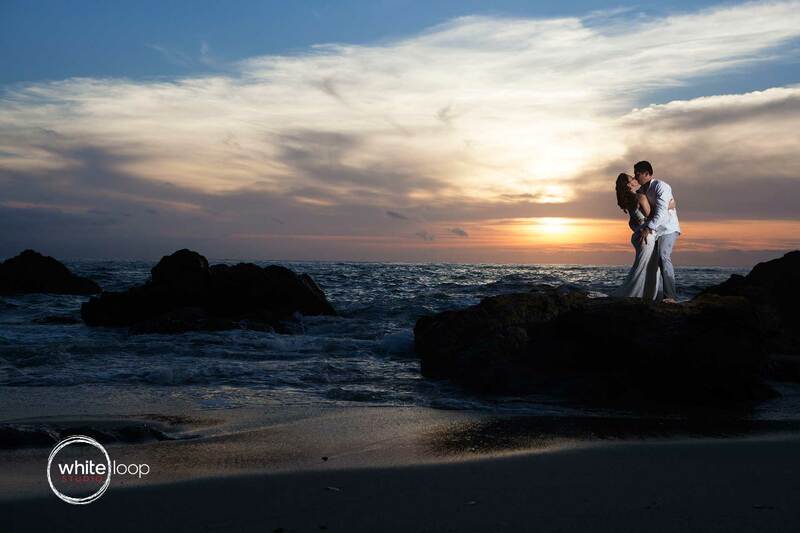 Did you like our trash the dress wedding pictures? Are your planning one? We can help!